I have been using this for several years and really like this product. I have very sensitive skin and this works! Nice glow, smooth clear skin.never irritates. Although this is a pricey item, it does what it says it will do. 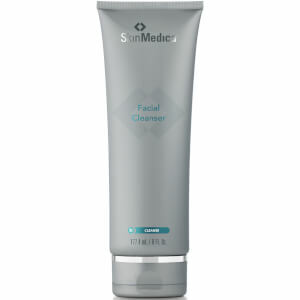 As soon as the first application, the skin on your face will feel and look greatly improved...love this product. I plan to purchase additonal products in this line as budget allows. It feels great going on the skin, very silky texture that absorbs super quick leaving a matte finish (big plus for my sensitive, oily skin). It's potent, and it makes my skin tingly, but nothing irritating. I also like the short list of powerhouse ingredients (i.e., two forms of Vitamin C, two forms of E). I will write another review after using this product for a few months, but for now, it certainly looks and feels like a winner on my skin! Trying to remain youthful in the remaining years.. I was recently introduced to this product during a facial. After using it for 3 months now I noticed little to no change in the improvement of my skin. My skin does feel firmer, although I expected more results. My Cosmetic Dermatologist recommended me another Vitamin C + E serum offered by Cosmetic Skin Solutions. The serum with C + E and ferulic is wonderful to my skin with having more noticeable results in the texture, tone, and vibrancy of my skin. I am satisfied with their serum, as I am also saving a bunch with more than expected benefits compared to the Skin medica brand. I truly love this product and feel it is very effective and necessary for beautiful skin-but-when pumping the bottle for release of the serum sometime only a mini drop comes out and sometimes nothing. Thinking the bottle was empty but believed it was too soon to be finished-I got a pair of pliers and opened up the top-well!!!! to my surprise half a bottle was left so I had to use a Qtip to finish the bottle-is this a joke or not? I recently finished my TNS essential serum and am now wondering how much is left in that bottle that didn't pump out. The products are expensive enough but effective-but to be leaving unused serum in the bottle at these prices is a total waste-the company surely can do better with the packing system because the customer is definitely being shortchanged. I use this product as a base before putting on my mineral make up. it keeps the powder in place, gives a hold. I didn't like the spray that came with the makeup. in the long run the vit c is wonderful, helps with oil control, redness, firmness, and works on my neck too! 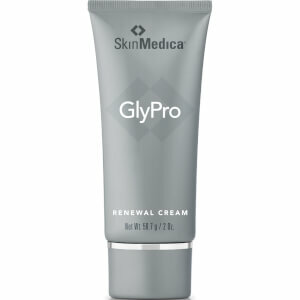 My dermatologist recommended this product--cheaper online here than in the doc's office. I was very anxious to try. I've used Mary Kay's Night Solution for years ($30), so I did an experiment for 6 weeks, applying SkinMedica Vitamin C on the left half of my face and MK on the other half. 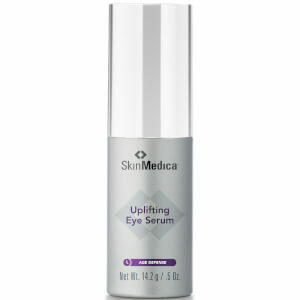 After 6 weeks, I noticed NO DIFFERENCE in either the appearance or tone/texture of my face with the SkinMedica. Both products gave me a nice smooth, glowing complexion, no breakouts. I will continue with the MK for less than half the price -- on my whole face! After years of Cellex C, then Jan Marini C Esta, then Skinceuticals (several different varieties,) I am hooked on this product. It is a cross between a serum and a lotion, rather than the messy serums that leak between your fingers when trying to apply. The texture is truly lovely and leaves sort of a soft, matte finish. 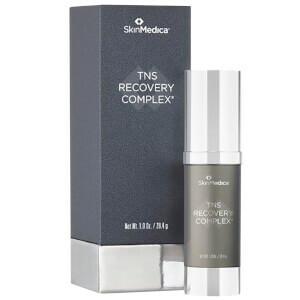 I use it after TNS Recovery Complex and before Ole Henriksen Herbal Day Cream, the latter of which is a good choice. I tried it under Skinceuticals SPF 30, and then I did look pasty, flaky. The trick is to have a light, but moisturizing sunscreen after. Since OH is only SPF 15, I use the SC SPF 30 for longer periods in the sun, which is really rare for me anyway, and then I simply use the C on cleansed skin when I get home if it isn't too late in the day.